Understanding the financial impact of outsourcing is often the first step of the outsourcing process. Deciding if mainframe outsourcing is the right strategy for your organization is a difficult decision. It can be a complicated and time consuming task. 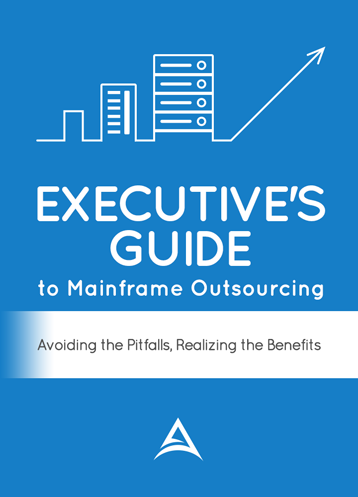 When discussing mainframe outsourcing, cost is the number one question executives want to know. To that end, we provide benchmarking services for companies that are exploring mainframe outsourcing. We help our clients understand the potential savings/costs associated with outsourcing. We also provide insight into the business risks/rewards that outsourcing may have. Concept: Development of outsourcing concept and find out if it is aligned with the overall strategy of your business. Mainframe Inventory: Gain an understanding of your mainframe needs by taking an inventory of your mainframe environment. Scope: Determine the scope of services that are included in the analysis (operations, system support, DBA support, production control, network, etc.). Outsourcing Options: Determine which type of outsourcing works aligns best with your goals (traditional outsourcing, remote management, facilities management or hybrid outsourcing). Risks: Expose the potential risks and downsides of outsourcing. Financial Impact: Determine the cost/saving that outsourcing could have on your environment. The end result is a deliverable that will give you the insight to either pursue outsourcing as a strategic initiative or that you should focus on other projects.